FOR OVER 65 YEARS, Experts in printing and print implementation. Providing our clients with digital, large format & offset printing, execution & fulfillment, installation, fabrication and promotional products. We understand our customers’ graphic arts needs and challenges and we offer innovative, high-impact solutions with value. Passionately driven to providing the highest quality products and services with uncompromised integrity and a commitment to excellence. Omega has a rich history in commercial printing along the eastern coast of the United States. We began operations in 1952 and have been creating high-impact print solutions for clients in a variety of industries since then. We are a privately owned company with corporate headquarters in New Jersey. We value people, we value ideas, and we value innovation. Seeing is believing when you partner with Omega. And of course – great results. You get it all when you change your perspective on print. It becomes clear when you partner with us – we're not your average printer. We’re not your grandfather’s print shop, but we might still have some of his presses lying around. Why, you ask, in the digital age? Along with our digital fleet, our offset presses offer unprecedented quality. 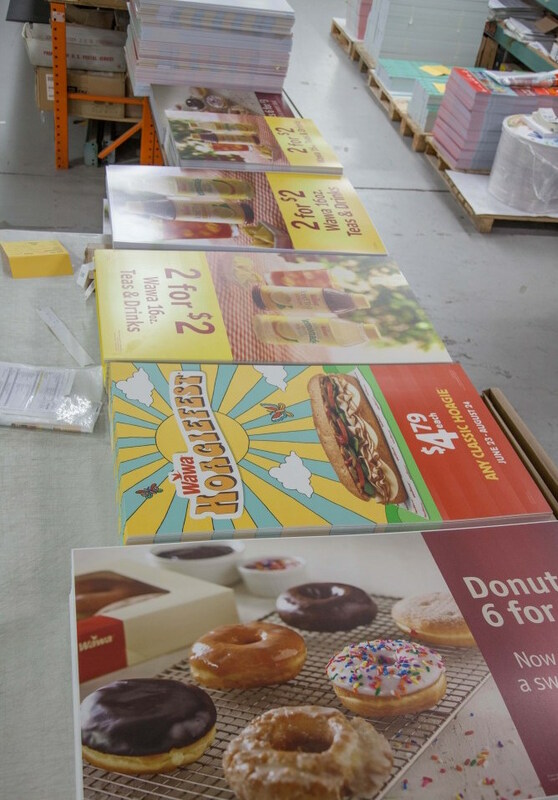 Litho printing is still a very efficient process and lends itself very well to long runs. All of our digital presses have the capability to print variable data, in which elements such as text, graphics and images may be changed from one printed piece to the next, without stopping or slowing down the printing process and using information from a database or external file. Create visual impact through POP graphics, environmental and architectural graphics, custom flooring, trade show & event signage, vehicle wraps and more. Let our team help you put your best foot forward with large-scale, eye-popping designs that bring big impact to your message. One of Omega’s “Solutions” is graphic design services. Look around you; just about everything that you see began as an idea, a concept, a need to communicate visually to the world. To achieve its objectives, great design must communicate with purpose in an impactful and effective way. Our computerized warehousing makes everything, from ordering to inventory management, convenient and accessible. 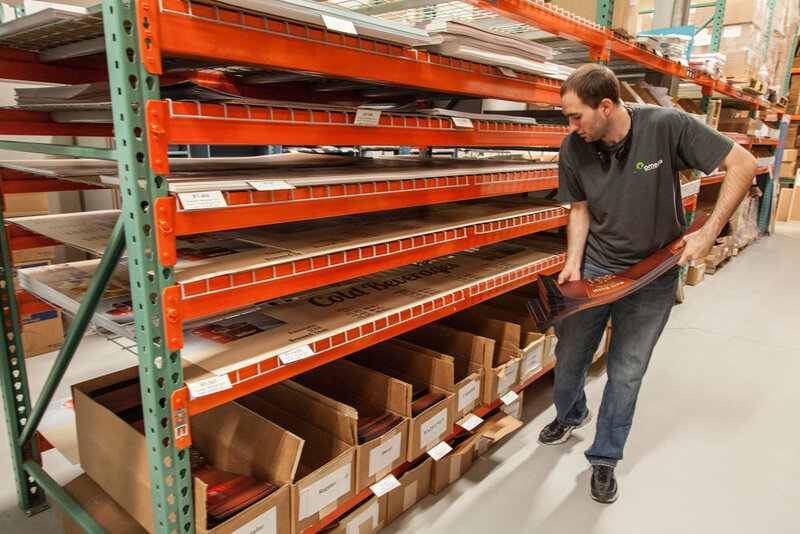 When it comes to Product Fulfillment, we handle all services in-house, including warehousing, shipping/tracking information, packaging, logistics and more. We offer flexible volume requirements as well as personalized service. If you require custom graphics that grab attention, paired with execution that excites the senses, look no further than our installation services. Our team has the experience and product knowledge to coordinate and install graphics for outstanding results and maximum impact. Direct mail grabs your potential customer’s attention with unique mail pieces - You aren’t limited to envelopes or postcards...you can include mail with dimension, like customized boxes or tubes. With advanced variable data & a dedicated team, we produce quick turnaround times, ensuring your direct mail projects reach your targeted audience in an ample amount of time. When people come together, anything can be achieved. 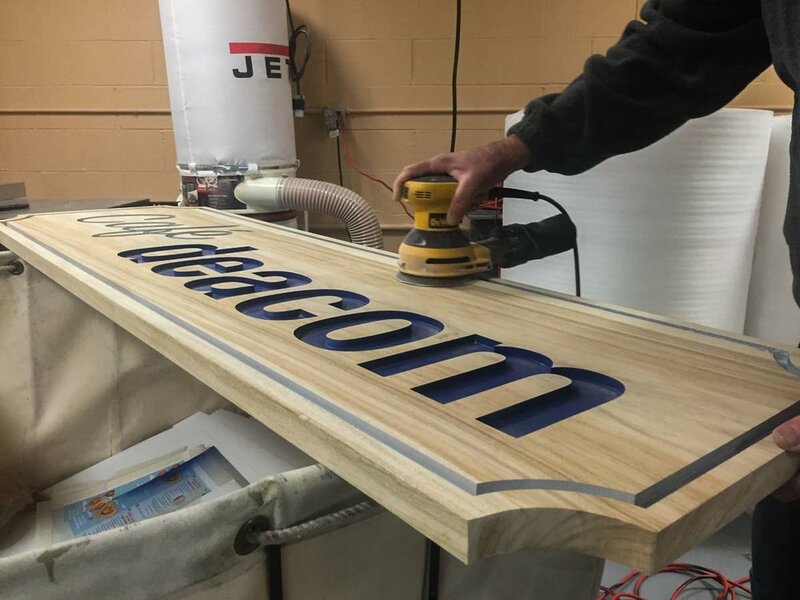 With this belief, we welcome the opportunity to offer fabrication solutions to fit your signage needs. With a focused approach, the finest production team, and years of experience, we are suited to bring your project to life. Promotional products allow for a greater level of interaction in a targeted market segment. Let us help you choose the perfect set of promotional tools for your brand in order to extend your brand experience and increase memorability. Kudos to the Omega team! I just saw the easel cards this morning! I love them! Fantastic work! Our experienced team is ready to solve your print and brand challenges.